An elegant invitation in the form of a box. 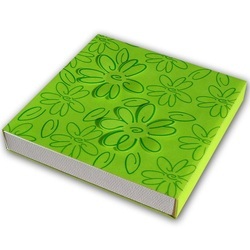 Made form white, textured, and transparent green, paper, decorated with printed green flowers. 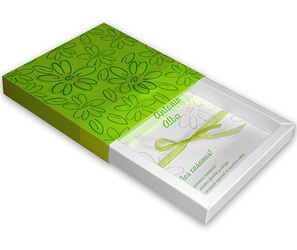 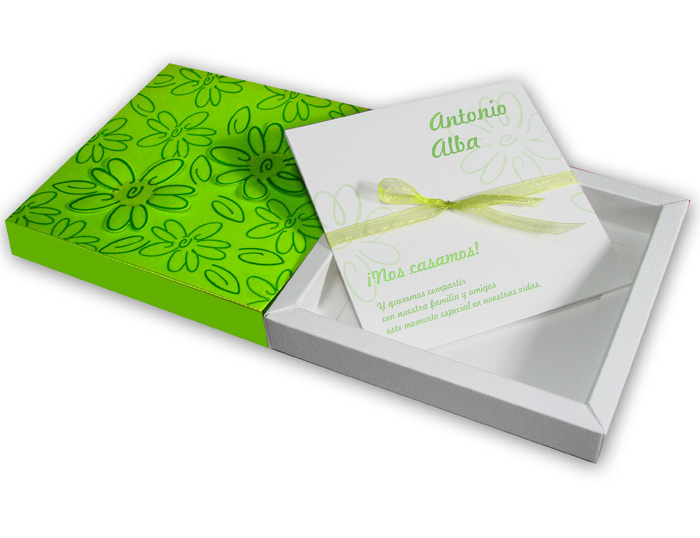 Text can be printed on two white inserts tied with a green chiffon ribbon.